Narcomania is a disease, characterized by overwhelming addiction to psychotropic agents; the tendency of increasing the used doses (tolerance); forming abstinence syndrome by drug addicts; psychological and physical dependence of different degree. From the sociological point of view narcomania is considered to be one of the forms of deviant behavior – the manner of conducting oneself, not typical for the conventional moral standards of the society. The list of habit-forming drugs is very large and increases with the synthesis of new medicines. You can find the description of the most widespread narcotic drugs on our website, in the section NARCO ALPHABET. Among them are alcoholism, tobacco smoking, taking cannabis and opioid products, psychostimulants, addiction to inhalants. The history of drug abuse goes back to the Sumerian civilization, 5 000 years B.C. Archeological excavations have shown the first records of preparing and taking opium. About 2700 year B.C. people used hemp as the medicine against absent-mindedness, cough and diarrhea. The walls of funerary temples of Indians from Central and South America are covered with drawings of the people, chewing coca leaves. Narcotic drugs, changing the state of mind of a human, were known also among the ancient Greeks and Romans. So far taking psychoactive substances is connected in some countries with certain religious and cultural traditions (alcohol drinking, chewing coca leaves by Indians, smoking hashish in some Oriental countries). Psychological dependence - is an unhealthy desire for taking a narcotic or psychoactive drug, constantly or periodically, in order to feel some pleasant sensations or to get rid of discomfort. Such dependence appears any time of methodical drug consumption, but can declare itself also after a single dose. Physical dependence - is a condition, caused by reorganization of functions of the whole organism in answer to chronic consumption of psychoactive substances. It manifests by clinically apparent mental and somatic disorders, appearing after the discontinuation of narcotic drugs. These disorders are known as abstinence syndrome, withdrawal syndrome or deprivation syndrome. They can be decreased or totally terminated by a new dose of the same drug. Tolerance - is a condition of adaptation to narcotic or other psychoactive substances, characterized by lessened reaction to the same amount of drug, when the higher dose of the drug is needed to achieve the previous effect. Each part of drug abuse declares itself differently and in different time, depending on the narcotic used!!! Drug-abusers tend to teach others to take narcotics. Such desire is explained by original sort of “altruism” (they wish to share “the pleasures”), as well as by selfish ends (the bigger is the group of drug addicts, the easier they can find narcotics and money for them). Moral values of drug-abusers get destroyed and changed by perverted ideas. Drug abuse treatment implies a series of actions, directed first of all against physical dependence (withdrawal pains) and intended for detoxication of the body. Only after that the treatment of psychologcal dependence, including conversation with the patient, social adaptation and other methods of psychotherapeutic treatment can be used. Besides, the first stage of the therapy can be sometimes provided at home, but the whole treatment would be of course much more effective, if provided at the hospital. Psychoactive substances can be inevitably misused in any society - not for cure, but for entertainment. 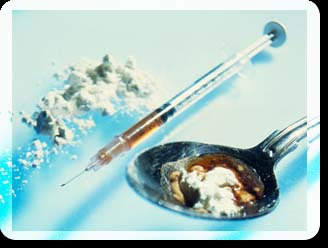 Drug abuse is injurious to the public and personality of the addict. The most part of drug-abusers are young people. One of the sad consequences of narcomania is a physical and social degradation of the most active part of population. According to the annual UNO report of International Narcotics Control Board, the number of drug addicts in the world makes from 172 to 250 million people. Nowadays 30 percent of all drug addicts, who seeks medical advice, are people aged 16 and more. The average age of a dead drug user is 28 years. No more, than 10 percent of addicts can be cured of narcomania. The narcologists affirm that the therapy is effective in 3-5 percent of cases only. That means, that only 3-5 people from 100 will be cured and stop taking narcotic drugs in future.